It is with sad regret we learn of the passing of double Olympian Dr. John Lawlor. Dr. John F. Lawlor passed away peacefully on Sunday, May 20 surrounded by three of his children, Maeve, Paul and Owen. Dr. Lawlor was born on March 14, 1934, in Dublin, Ireland to Edward Lawlor of New Ross, Wexford and Mary Ireland Lawlor of Enniskerry, Wicklow. He was educated by the Christian Brothers at St. Joseph’s School, Marino, Dublin. Upon graduation, he joined his brothers, Eamon and Paddy, in the Dublin Garda, where his father had been a Sergeant. A gifted rugby player and hammer thrower. He married Ms. Kingston and moved to Silvermines, Ireland, where Dr. Lawlor worked as an exploration geologist. Afterwards, four of their five children were born in Silvermines and the family moved back to Boston so that Dr. Lawlor could complete his doctorate in Geology. Dr Lawlor was an Irish Olympic athlete in track and field. He competed at the 1960 Olympic Games in Rome finishing 4th in the men’s hammer throw. He went on to represent Ireland a second time at the Tokyo 1964 Olympics finishing in the qualifying round. He went on to have great success in Boston and held the record for 27 consecutive victories in the hammer. 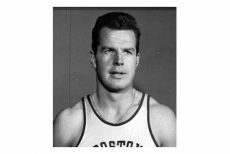 He studied at Boston University, and won the Scholar of the Year Award in his senior year when he captioned the track team. He was also voted into one of the highest academic honours at BU and received his Ph.D. in 1970 and went on to become one of the leading geologists.